Times Are Tough. Don’t Lose Your Boat! Are you at risk of losing your boat? Slip fees, property insurance, in-water maintenance… It can be hard to make ends meet. And you might be working so hard you don’t have much time for the boat these days anyway. Store your boat in the SDBM yard in San Diego or San Francisco at a special low rate, and we will also amortize the cost of haulout and vessel transport (both in and out) over the course of the year. You get one easy payment per month, and can drop your boat back in the water when you’re ready to enjoy her again. Easily renew after one year (at an even lower cost) if you’re not ready yet. Save up to 50% off your current costs, and get a chance to do your own maintenance at your own pace without the hassle of a typical boat yard. This boat owner could get the boat hauled out at any yard in SF or SD, transported to one of our storage yards, and back in the water again after a year or more, for one low monthly payment of around $500/month, a savings of nearly $5,000 for the year. Who couldn’t use that? 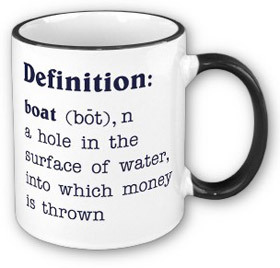 Fill out the quick form on the right so we can get back to you with a real quote, specific to your boat and situation. Save Your Boat. This quick form will give us what we need to get back to you with a quick estimate of your savings.